Details: All natural, no calories, no carbs, no bitter aftertaste, and endless uses.SteviaClear brings pure Stevia extract to liquid form. With 1440 servings per bottle, youre definitely getting your moneys worth. Just two drops of SteviaClear are as sweet as 1 teaspoon of sugar. Drop this pure Stevia extract into your hot or iced coffee or tea. Youll love getting sweet without paying for it in calories or chemicals. Safe for diabetics, too.Convenient and economical to useZero calories, zero carbsAbsolutely no chemicals, alcohol, or glycerinPure Stevia extract in waterSafe for diabeticsCan be used in cooking, baking, hot or cold beverages, and many more uses. 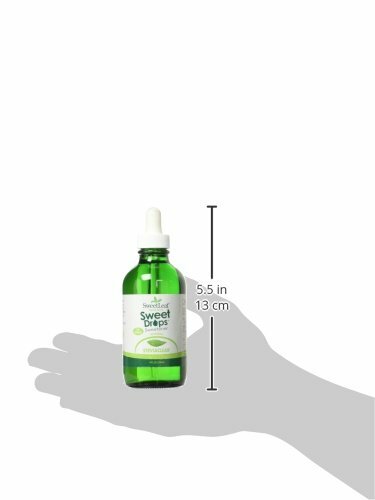 SweetLeaf Stevia® Sweetener contains only two ingredients: stevia leaf extract and inulin, a soluble vegetable fiber. Inulin is a naturally occurring prebiotic that nourishes the body’s good intestinal flora, supporting good digestive health and immune function.